Pure Whey Protein provides outstanding value! It is a premium quality whey protein powder, purchased directly from a European dairy, using grass-fed cow’s milk, and contains a massive 82% Whey Protein. With an excellent amino acid profile, including high levels of Branched Chain Amino Acids, Pure Whey Protein is ideal for anyone looking to add protein to their diet, as part of a healthy balanced lifestyle. Pure Whey Protein can also be used to build muscle, as protein contributes to a growth in muscle mass. In addition, Pure Whey Protein is low in carbohydrates, fat, lactose and cholesterol, making it a healthy choice for delivery of high quality protein. 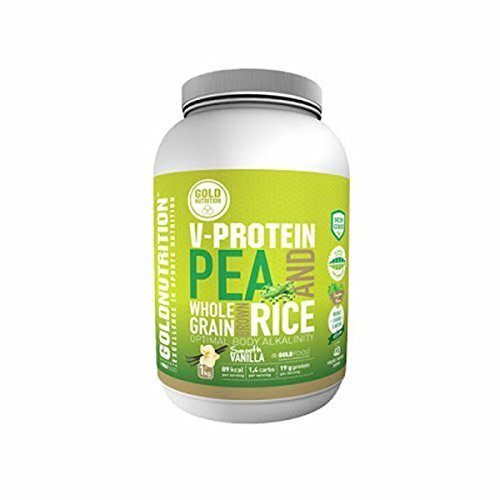 MyVegies 100% pura proteína de soja vegana en polvo 2 lbs 900g: 23g Proteína de vegetal por dosis – El mejor sabor a fresa con un perfil de aminoácidos esenciales, rica en BCAA. ¡30 dosis!